The biggest hurdle Deadpool 2 has is maintaining theater dominance. The first Deadpool had very little competition aside from alternative programming in the romantic comedy genre and A sequel almost 10 plus years after its original. This time around, Deadpool 2 has been sandwiched in between the MCU’s biggest film to date and the 2nd movie in the Star Wars universe outside of the main trilogy. Can Deadpool 2 bring in an audience in a short turn around from Marvel’s juggernaut? Where the story picks up is Deadpool (Ryan Reynolds) working as a contract killer and balancing his work life and his home life with his girlfriend Vanessa (Morena Baccarin). A certain event happens that Wade must find purpose again in the form of protecting the teenage pyrotechnic mutant Firefist (Julian Dennison) from the time travelling merc Cable(Josh Brolin), who makes it his mission to kill Firefist from preventing a tragedy that affects him. The story itself is fine as we get a break from the “Save the World” story many comic book movies follow. 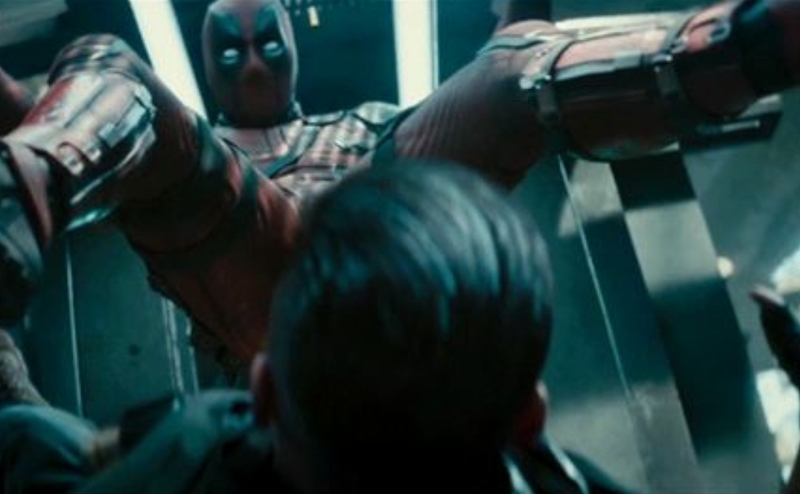 We get something more personal much like the first Deadpool film. Reynolds yet again brings his A game in the role of Deadpool. It’s pretty hard to imagine anyone else playing this character, much like how we can’t imagine Wolverine or Iron Man being played by anyone else. Brolin as Cable is solid, but I found myself wanting to find out more about this version of Cable. I wanted to see if his origin would be tweaked to fit into this universe or if his origin from the comics would stay intact. I’ve seen a lot of useless comparisons between this character and the one he plays in the MCU. Let’s not forget these character are completely different and have different motivations. There are different depths each character has. He shows plenty of depth . Zazie Beetz is fantastic as Domino. Her action scenes are well done and she is very much a counter weight to Deadpool wit wise. Julian Dennison is good also as this particular role was created for him. The returning cast of T.J. Miller, Karan Soni and Leslie Uggams, Stefan Kapacic and Brianna Hildebrand do another good job despite being pushed back into smaller support roles this time. Director David Leitch (who co-directed John Wick and directed Atomic Blonde) brings better action in Deadpool 2. These scenes last a bit longer but aren’t boring or filler. The jokes are consistent with the first film. There is another gag involving Wade recovering from an injury from a villian that seriously injures him. Said villain was also a very nice surprise as we finally get a true comic book rendition of this character rather than the more life like version we have received before. The issues I had with Deadpool 2 are the somewhat drop of quality in CGI. There are some scenes that could have used a bit more work. There are also some moments that slow down the movie to a lull. Another minor gripe is the X-Force had been heavily involved in the trailers, but are barely in the movie. This could rub some viewers the wrong way or you could laugh it off. What happens to the X-Force is pretty funny though. There are tons of cameos and Easter eggs throughout. You’ll have to see it twice or more to get them all. The end credit scene as fun as it is, I found myself being bored of the tired jokes involving the old rendition of Deadpool in X-Men Origins: Wolverine and the role Reynolds played for D.C. comics. It’s beating a dead horse at this point. Deadpool 2 is another hit out of the park. Aside from its minor flaws, this sequel is way more entertaining than the first and there is tons of rewatchability. Now we just need X-Force to be a real thing.